December 31, 2018  On New Year's Day, Jair Bolsonaro will be sworn in as president. 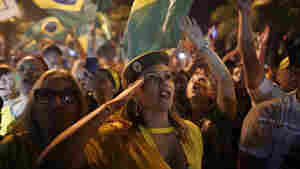 He's an admirer of Donald Trump, and his rise to power has created — and reflected — deep divisions among Brazilians. November 29, 2018  The incoming far-right president said he requested the change. 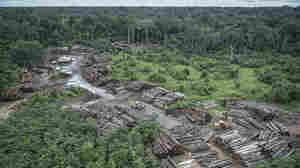 Environmentalists are worried about how the Bolsonaro administration will handle environmental issues. October 29, 2018  The retired army captain has expressed admiration for the country's brutal 1964-1985 dictatorship; made incendiary remarks about women, minorities and LGBT people; and decried "fake news." 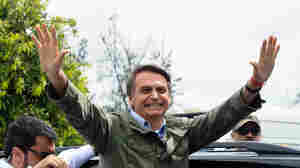 October 26, 2018  Onetime targets of Brazil's dictatorship are worried that a candidate who openly admires the past military regime is expected to win Sunday's presidential election. October 7, 2018  Each year Chinese youth teams send members to a Brazilian academy for 10 months of soccer coupled with regular school lessons, including classes in Portuguese. 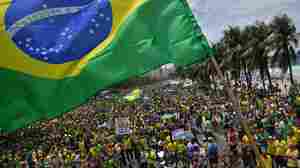 October 5, 2018  Sunday's election in Brazil represents an important gauge of how far to the right voters in Latin America's largest nation are prepared to turn. 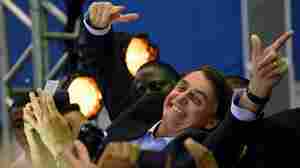 September 8, 2018  Jair Bolsonaro was attacked while campaigning on Thursday. Experts say the hardliner may see his lead increase through television exposure and candidates who are pulling back attack ads. 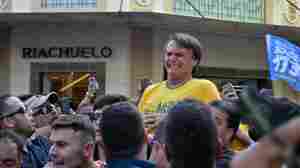 September 7, 2018  Jair Bolsonaro was attacked as he was being carried on the shoulders of supporters in southeastern Minas Gerais state. Doctors say it could take months for him to fully recover. 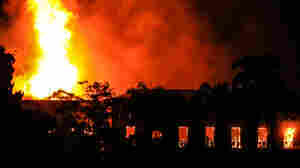 September 3, 2018  The blaze started Sunday night, spreading through the 200-year-old building and engulfing some of its 20 million artifacts. August 4, 2018  "Churches are taking over the leadership role which was supposed to be in the hands of the political powers," says a Catholic youth group member in the Brazilian town of Central do Maranhão. 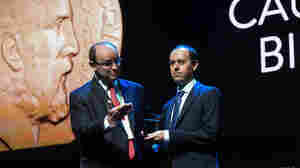 August 2, 2018  University of Cambridge professor Caucher Birkar, who fled Iran for the U.K., was among four people who received a Fields Medal in Brazil. Shortly after, his golden prize was gone. 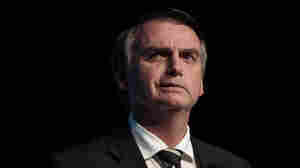 July 30, 2018  NPR sat down with Jair Bolsonaro, who is in the lead ahead of other (eligible) candidates for the Brazilian presidency. 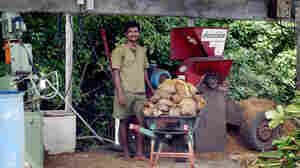 July 20, 2018  The United Nations says nearly one-fourth of food purchases in hotels and restaurants are thrown away. Luxury properties in Mexico, India, and elsewhere are trying programs to bring that figure down. July 20, 2018  Denis Cesar Barros Furtado, known as "Dr. Bumbum" had been on the run for five days when police arrested him in Rio. A patient of his suddenly fell ill and died following a procedure on her buttocks. July 17, 2018  Marília Mendonça has reclaimed Brazil's traditional genre sertanejo and created "feminejo," providing women with a voice in a traditionally macho society.